SAN FRANCISCO — Tomoye “Tami” Takahashi, co-founder and owner of the Takahashi Trading Company. passed away peacefully on June 4, just short of turning 101 years old. Tomoye was known by many as a walking encyclopedia and had a wealth of knowledge and stories about the history and people of the Japantown community going back to its founding in 1906, following the Great San Francisco Earthquake. This year marks the 110th anniversary celebration of Japantown in the Western Addition. 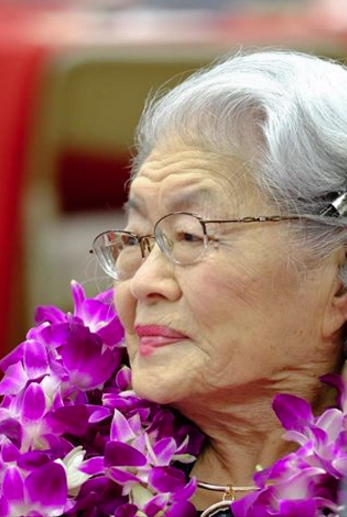 Born on Aug. 16, 1915, in San Francisco, she was the eldest daughter of Tomoyuki Nozawa and Masano Ozawa, both of whom immigrated from Yamanashi Prefecture. Her father was a well-known Japantown businessman who owned the Starlight Laundry and was part-owner of the Nichi Bei Bank and the Nichi Bei Securities Company. Takahashi attended Gratton Elementary School and the Girls School at Polytechnic High School. She graduated from UC Berkeley with two majors, Oriental studies, with an emphasis on ancient Chinese and modern Japanese, and decorative arts. She met her husband, Henri Takahashi, on a double date in 1938 and after a three-year courtship married in 1941. 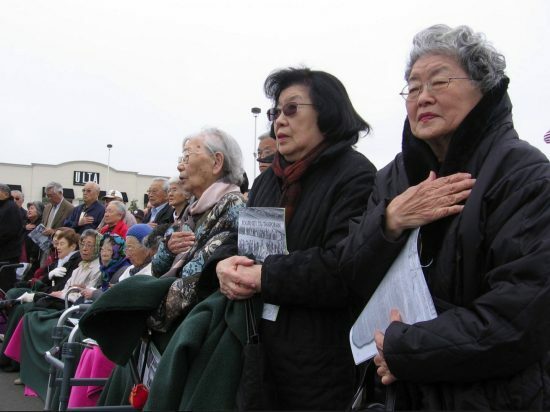 A few months later, following the attack on Pearl Harbor on Dec. 7, 1941, they were forcibly removed from their home to the Tanforan Assembly Center in San Bruno and then to the Topaz, Utah concentration camp along with many other Japanese Americans from throughout the Bay Area. While living at Topaz, she gave birth to two children, daughter Masako Martha and son Norman Tomoyuki. In 1945, following the closing of the camp, the Takahashis returned to San Francisco to raise their family. Eventually, they were able to purchase a building at 1661-1663 Post St. and started a small neighborhood dry goods store, Takahashi Trading Company, getting an export license to ship pharmaceuticals and other staples to war-torn Japan. These care or mercy packages were sent by locals to friends and relatives living there to help alleviate the dire living conditions. Although no monetary profit was made, they made this community service a priority, which resulted in the shipping of tens of thousands of care packages to Japan within a 10-year span. During their time in camp, they dreamed of bringing high-quality, well-designed items from Japan, to introduce the American public to the arts and crafts of a country previously known only for cheaply made imitations of Eurocentric goods. They hoped by putting beautifully designed things into the hands of American parents and children, that could help to build good feelings amongst a new generation, and diminish the prejudice and racism that had put Japanese Americans behind barbed wire during the war. After receiving their import license, the first things they imported were origami materials, tea ceremony articles, musical instruments, and folk arts and crafts. At the peak of their success, they had several retail stores in the Bay Area and one on 57th Street in New York City. They had popular Takahashi stores in downtown San Francisco on Grant Avenue off the corner of Geary Boulevard, in Ghirardelli Square, on Main Street near Market, in Sausalito on Bridgeway, and most recently on 15th Street in the Design Center area. They also had a wholesale warehouse located on Rhode Island Street out of which they sold to retail stores throughout the country. In 1985, Mrs. Takahashi established the Henri and Tomoye Takahashi Charitable Foundation with her husband and sister, Masako Martha Suzuki, to further develop and encourage an understanding and appreciation of Japanese culture, values and arts. Throughout the past 30 years, she supported numerous non-profit organizations across the country to promote the goals of the foundation, such as traveling museum exhibitions, including one that showed items crafted in concentration camps. The foundation donated funds for the Japanese wing of the Asian Art Museum in San Francisco, and continues to sponsor the yearly ringing of the bell on New Year’s Eve plus other programs there. Additionally, the foundation has supported several films that document the history of Japanese Americans, which are often seen on PBS. She supported The Nichi Bei Weekly, the non-profit successor to The Nichi Bei Times; a scholarship fund for high school students to visit Japan; the annual Northern California Cherry Blossom Festival in Japantown; the Japanese American cultural/community centers in San Francisco and Los Angeles; and the establishment of the Stanford Takahashi Lecture Series at the Stanford University School of Oriental Studies. In 2010, the Consulate General of Japan in San Francisco honored Takahashi and her sister with the Order of the Rising Sun, Gold and Silver Rays for their contribution to promoting Japanese culture, history and the arts in the United States and to preserving and educating the public about the history and culture of Japanese Americans. She is survived by her daughter Masako Martha and son Norman Tomoyuki (Elena Mapoy). Her death is preceded by her husband Henri, mother (Masano) and father (Tomoyuki), younger sister Martha and brother-in-law (Risaburo Suzuki). A celebration of life service will be held at the Japanese Cultural and Community Center of Northern California, 1840 Sutter St. in San Francisco Japantown, in the Henri and Tomoye Takahashi Nisei Community Hall on Sunday, June 26, at 2 p.m. For further information, call (415) 567-5505. In lieu of flowers, donations can be made to made to the JCCCNC (www.jcccnc.org).